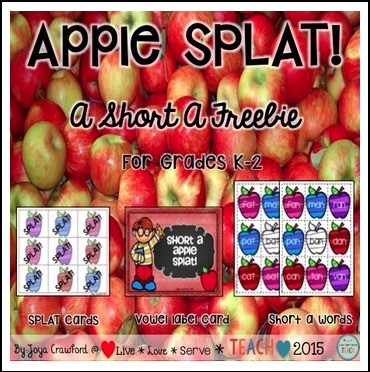 Apple SPLAT is a fun game for students to practice short A words and rhyming. The game is played in partners and is similar to slap jack. Like SPLAT? Want to try some more? Look here! Short and Long Vowel Pumpkin SPLAT. CCSS Aligned Short Vowel Apple SPLAT.